Launched in the fresh waters of Danube, Rhine and Main in 2017, Emerald Destiny will take you on a river cruise right through the heart of Europe, indulging you with unique vistas along the river banks and unforgettable experiences in historic towns. 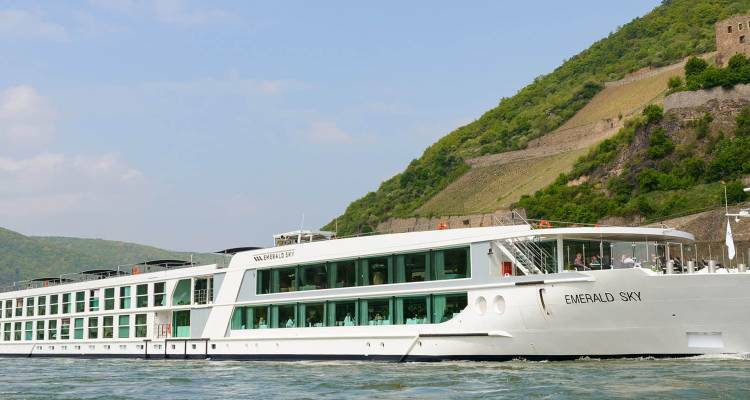 Relax and unwind onboard of this luxurious river cruising ship provided with outstanding amenities and accommodating up to 182 passengers. Owner’s One Bedroom Suite, Cat. SA - 315 sq. 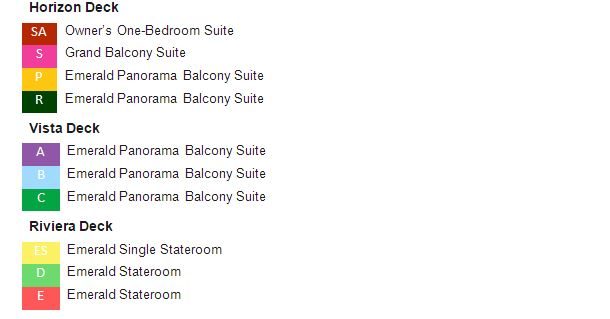 ft.
Grand Balcony Suite, Cat. S - 210 sq. ft.
Emerald Stateroom Riviera Deck, Cat.D,E-162 sq.ft. Emerald Single Stateroom, Cat. ES - 117 sq. ft.